You guys are the best! August is totally booked, September has a couple more spots open, October is completely full, and I still have room for a few more due dates in November and December. Where did 2018 go!? 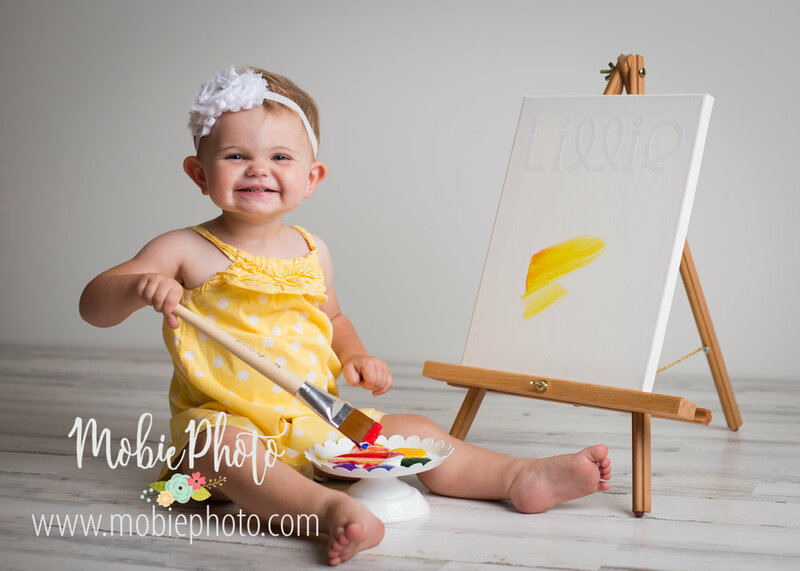 Last month I got to do a milestone session for the 18-24 month age range, and it was so fun. I guess we will call it a "paint smash" session! 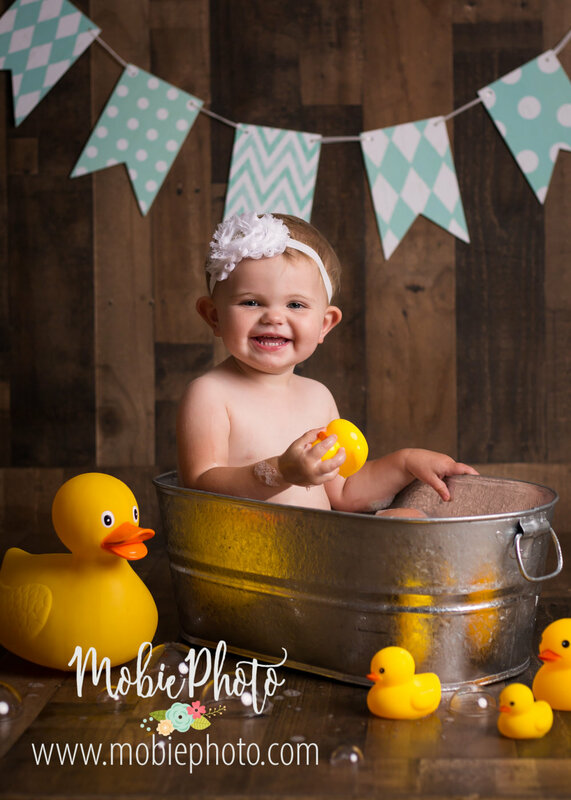 It also ends with bath time photos, and I think it's such a cute way to show your little one's developing motor skills and create a masterpiece to display in her room at the same time. Head on over to Instagram (@mobiephoto) to see the finished piece after I peeled off the white vinyl to reveal her name underneath.